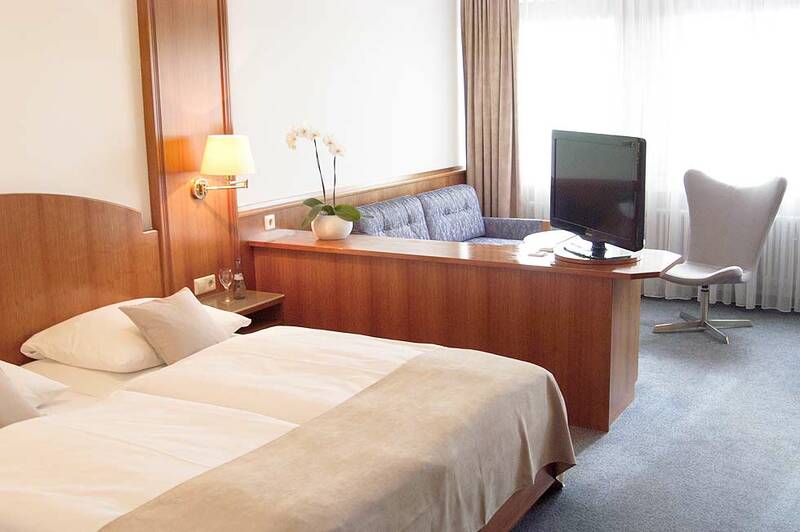 Trendy and traditional – this is what the rooms of our hotel stand for. Individuality and comfort are reflected in the friendly and modern interior of our rooms. Our rooms can be easily reached by lift. 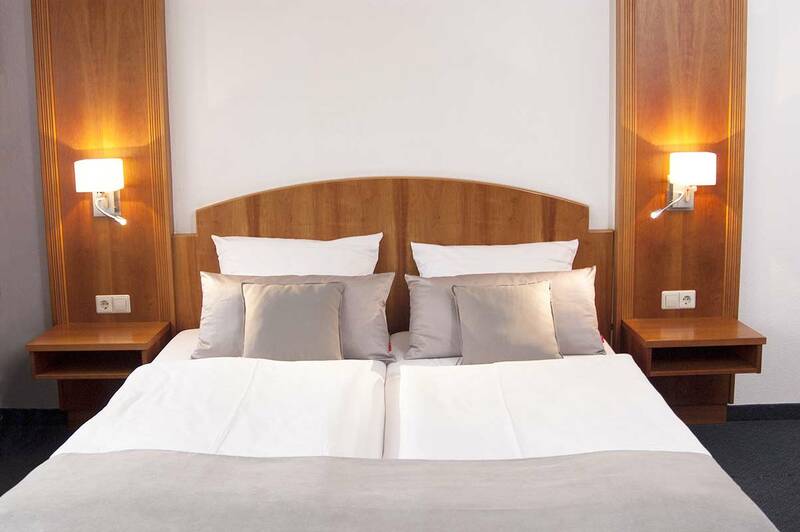 Enjoy your stay in our comfortable single rooms, furnished in a modern design. All double rooms or triple rooms can also be booked as single rooms. The rooms are equipped with double bed or with two seperate beds. Please ask explicity when booking at your reservation for the desired room. 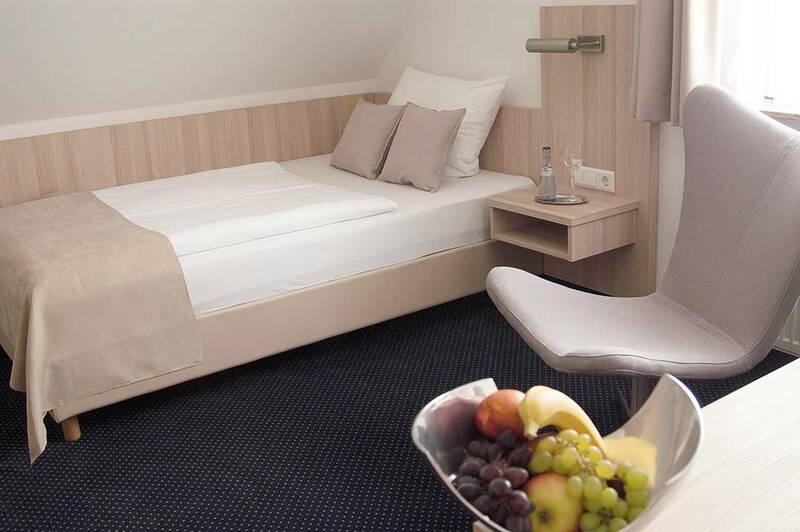 In our triple room you find enough space to be comfortable. The pictures show examples of the room categories but differ in design and size. All rooms are equiped with LED TV. 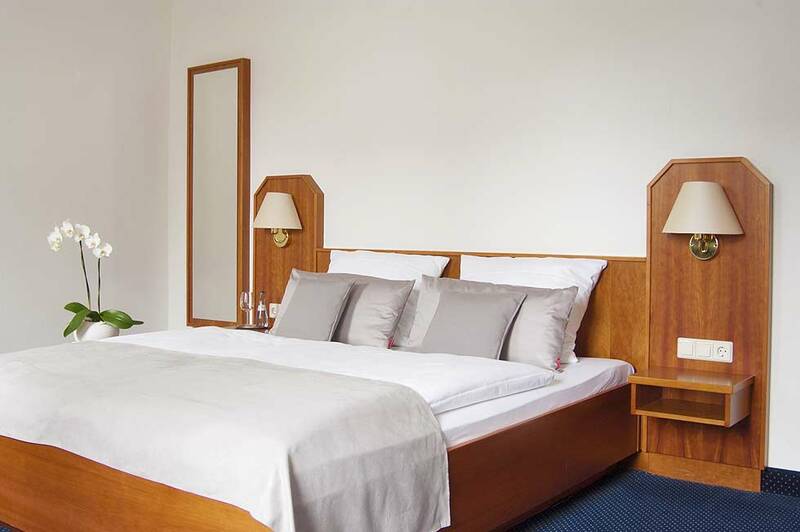 In the Hotel Germania you have the opportunity to be online with your laptop, iPad or mobile phone via free WiFi access. Enjoy our rich breakfast and be prepared for the day. A sufficient number of chargeable parking space is available at the hotel.